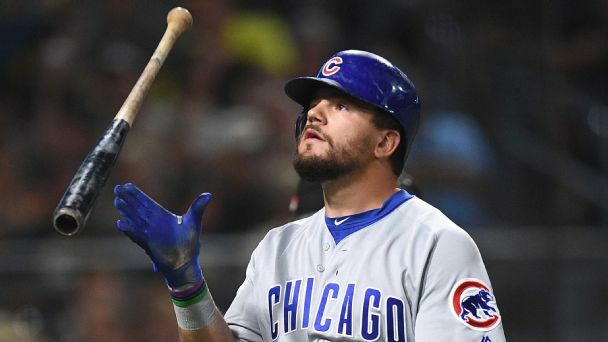 Infielder David Bote, "who has worked extremely hard" to reach the majors after starting in the Cubs' system as a low-round draft pick in 2012, has been rewarded with a five-year deal through the 2024 season. 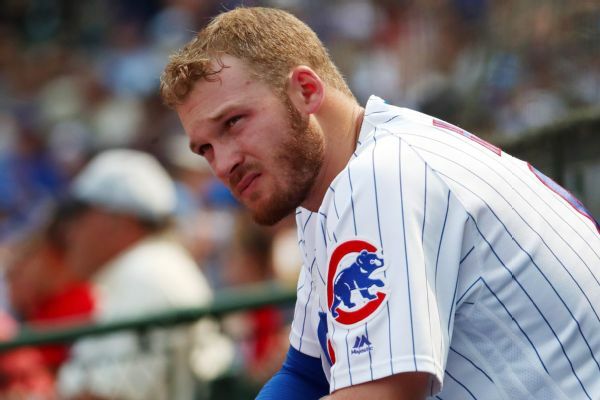 In a surprise move, the Chicago Cubs are sending infielder/outfielder Ian Happ -- a mainstay with the club the past two seasons -- down to Triple-A Iowa. 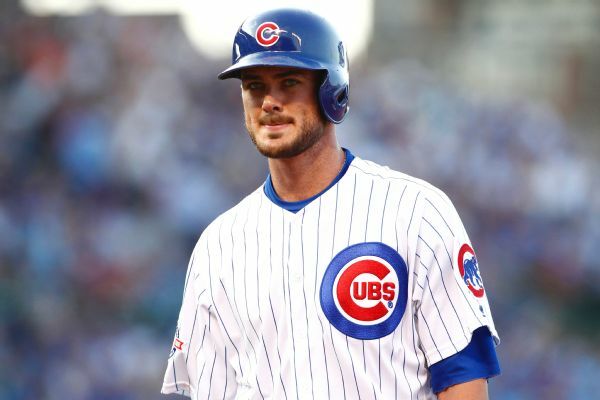 Cubs slugger Kris Bryant is out of the starting lineup for a second straight day with a bruised left wrist. 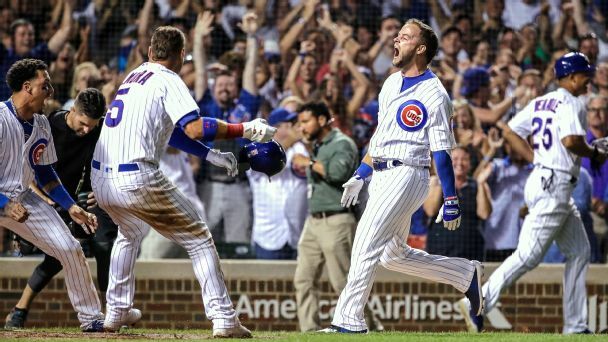 It has been five days and David Bote still can't put his historic walk-off grand slam into words. 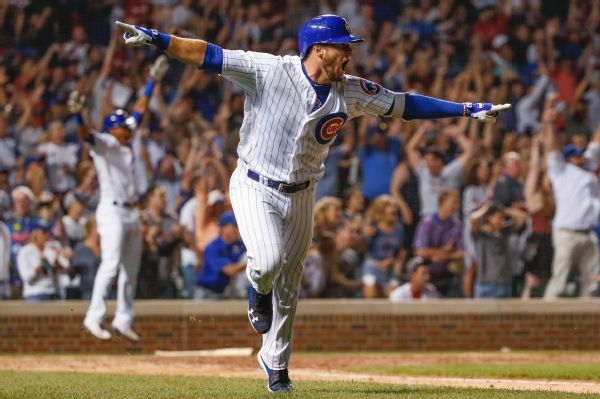 So a few of his Cubs teammates helped him out. 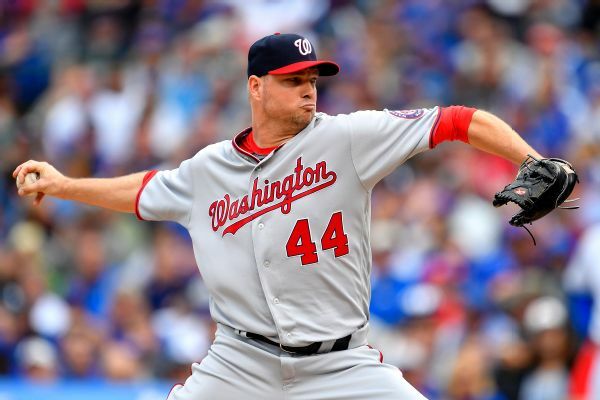 Ryan Madson, who gave up a walk-off grand slam to the Cubs on Sunday, has been put on the DL. In his place, Koda Glover will serve as the Nats' closer. 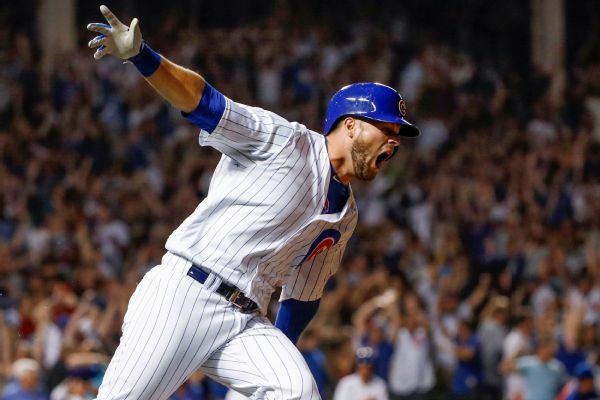 Can the Brewers dethrone the Cubs in the NL Central? Chicago and Milwaukee seem to be headed for another showdown in the NL Central. We asked three experts who has the edge. 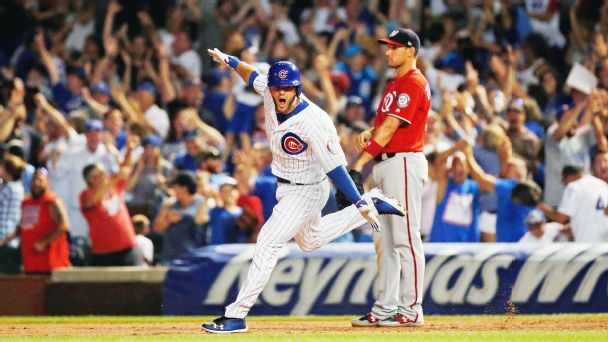 With two out in the bottom of the ninth and facing a two-strike count, Cubs pinch hitter David Bote delivered a walk-off grand slam to stun the Nationals on Sunday night at Wrigley. 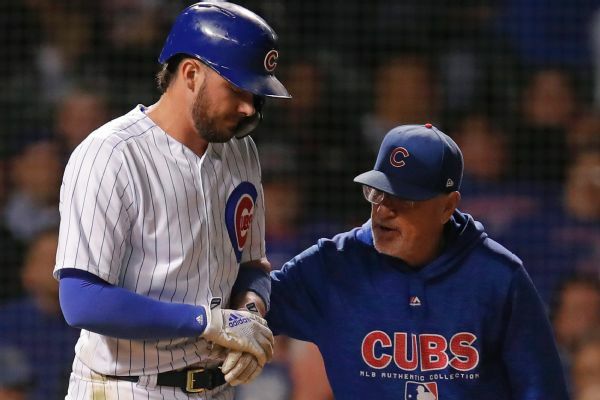 Cubs third baseman Kris Bryant is heading to the disabled list with shoulder inflammation for the second time this season.